We would love you to join us at any of our services. 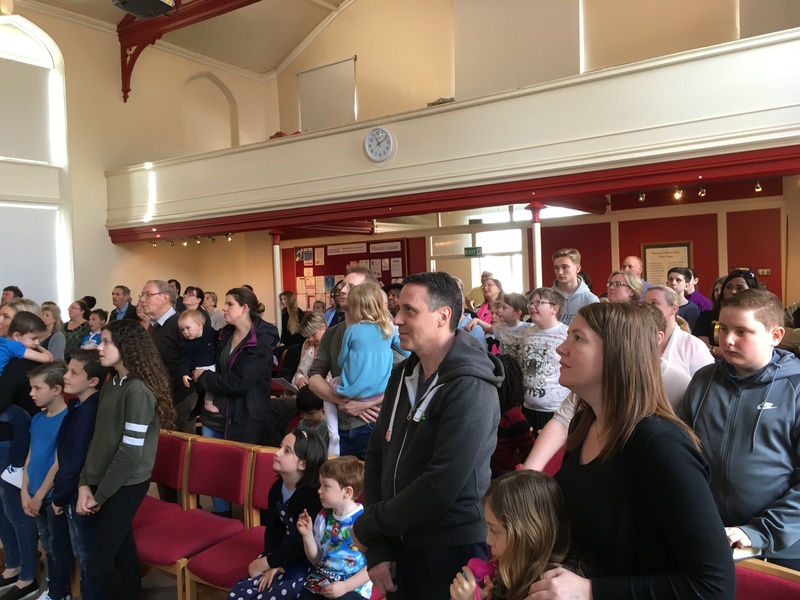 Whether you’ve grown up in Church or are just considering Christianity for the first time, Sunday mornings are a great way to begin to find out who we are? and what we believe? Our morning worship starts at 11.00am. Our services are informal, we usually stand when we sing and remain seated and bow our heads when we pray. 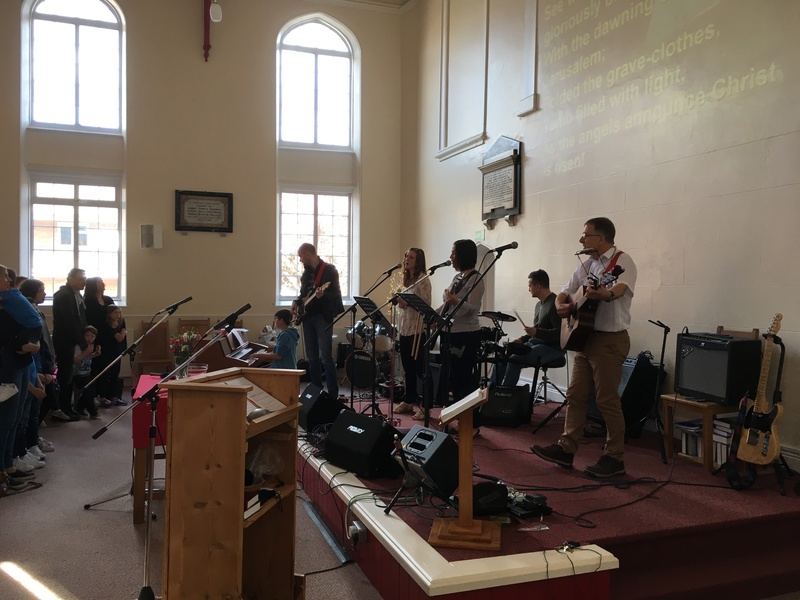 We have a band that leads worship playing contemporary worship songs and hymns, talks that relate the Bible to real life and enthusiastic children’s teams for the youngsters. We have a communion service on the third week of the month and a family service on the last Sunday each month. The bread is passed around on plates – usually people take a piece and eat it as they are served. Non-alcoholic wine is served in individual small cups – we like to wait until everyone has been served and then drink it together as a sign of our oneness in Christ. Anyone who knows Jesus Christ as their Saviour and Lord is welcome to take communion with us, regardless of your Church background. If you’re not sure what this means, or you feel uncomfortable about taking bread and wine, please feel free to let the plates pass you by. We serve tea and coffee afterwards while the youngsters can play air hockey, bar football and other games while the adults can chat together.